What are District Food Security Networks (DFSNs) and how do they function? District Food Security Networks have been initiated by the Ministry of Agriculture Development (MoAD) and the WFP in 72 out of the 75 districts of Nepal. They meet each trimester under the chairmanship of the Chief District Officer or the Local Development Officer. Membership is open to all stakeholders in the district including representatives from local and international NGOs, UN agencies, Government Institutions and civil society. The District Food Security Networks meet each trimester basis and use the food security phase classification approach, which is based on the global Integrated Phase Classification method but adapted to the specific context and conditions of Nepal, to monitor and analyze the status of food security in the district. 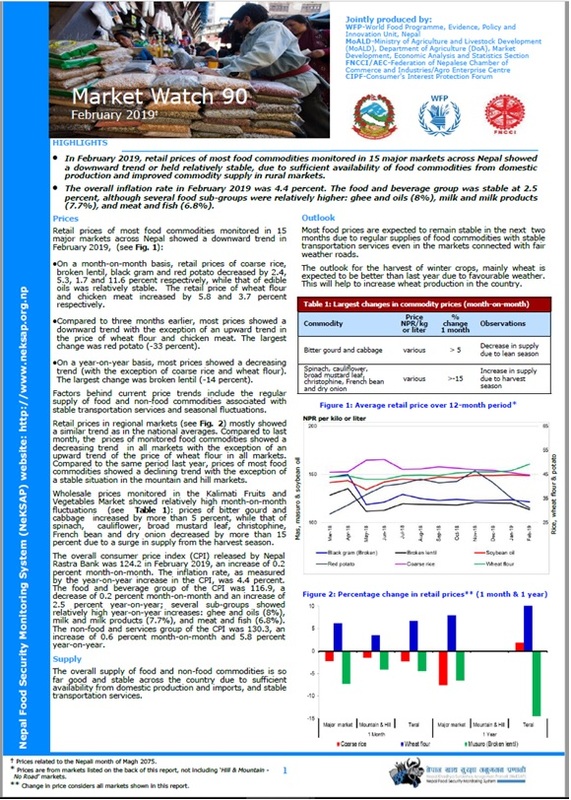 What information products are available through Nepal Food Security Monitoring System (NeKSAP) and at what interval? As part of the ongoing food security monitoring activities, the NeKSAP produces National and District Food Security Bulletin for each of 72 districts on a trimester basis, Market Watch each month, Crop Assessment reports for summer and winter crops (2 publications a year). How do I subscribe to receive NeKSAP products via email? Please write us an email at info@neksap.org.np expressing your interest in receiving NeKSAP publications. We will add your email address to the NeKSAP user list after which you will be able to receive our products on a regular basis. 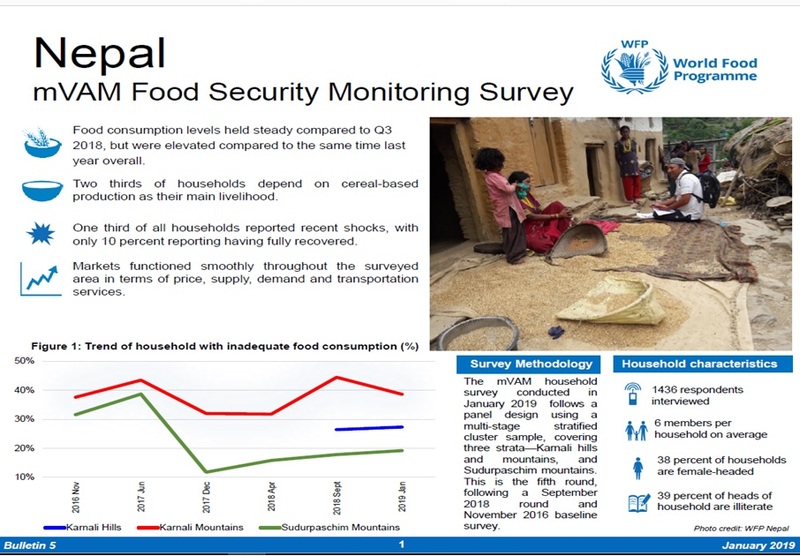 It aims at providing decision makers with a rigorous analysis of food insecurity in both emergency and development contexts, and key objectives for response to better coordinate the interventions. What is the difference between acute food insecurity and chronic food insecurity? IPC Version 2.0 distinguishes between two conditions of food insecurity – acute and chronic. For the IPC, acute food insecurity is a snapshot of the current or projected severity of the situation, regardless of the causes, context or duration. Chronic food insecurity is the prevalence of persistent food insecurity – i.e. levels of food insecurity that continue even in the absence of hazards/shocks or high frequency of years with acute food insecurity.